I have not had time to sit and write something here for a while~ My days begin with waking up super early...4:00 am to watch the first game of the day...I fall asleep right after the match and wake up just in time...around 7 am to watch the next. Then I get to sleep again for a little while till the 11:30 match begins....during half time, I rush to the kitchen...make myself breakfast....run back to my room and begin to watch the second half of the match. Sometimes, I wake up super early and work on my school work...and work while I am watching the matches. Now that we are onto the round of 16, I sleep in a little bit....I watched Germany vs. England and Argentina vs. Mexico today. Good matches....with unfairness. That goal was sooooo in for England...it is unfortunate that it was dismissed. I was rooting for Germany, however. And the match with Mexico and Argentina....the first goal was clearly offside and it broke Mexico....but it was a good match...Tevez's last goal was truly beautiful....I think it's my favorite goal so far in this World Cup. I am feeling a lot better. I feel like the mono is gone, but I still feel a little off. I am gonna get a blood test next week to see if I am good. I started running/walking everyday again...it's been over a week I think...I started on June 17th. I have been feeling a little weird...my heart beats very fast...and I have a hard time breathing...so I am taking it slow, but I am improving everyday which is my goal~ With so many people being sick around me I want to try my best to be healthy. It is unfortunate...to always have to deal with these problems, but I hope it will make me a stronger person in the long run. OH! 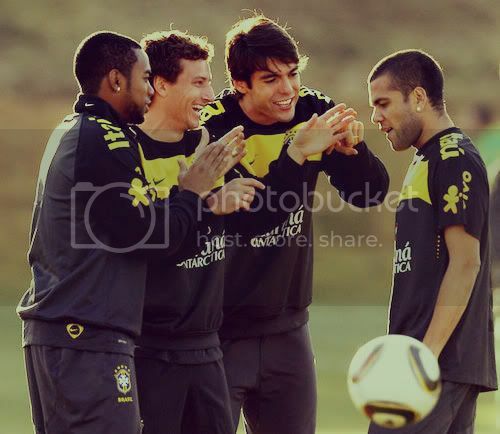 Tomorrow my team is playing <3 And Kaka is finally back in action YAYYYYYYYYYYYYYYYYYY.